We are delighted to announce the collaboration between PROTAX project and the prestigious Italian Supreme Court of Cassation on the organisation of the PROTAX focus group held in Italy on 17 May 2019 and the consortium is thankful to The Right Hon. the President of the Italian Supreme Court and The Right Hon. RUBINO Lina, Justice of the Italian Supreme Court, for the support given to the project. PROTAX will design law enforcement tools and guidelines that result from an in-depth understanding of the human factors involved in the tax crime ” eco-system”. The proposed solutions will incorporate stakeholder-knowledge and expertise. In doing so, the PROTAX focus groups. will bring together Law enforcement agencies, tax authorities’ representatives, tax experts, and professionals of relevant industries to exchange and learn about various dimensions of tax crime in the EU and think collectively about how we can counter them. 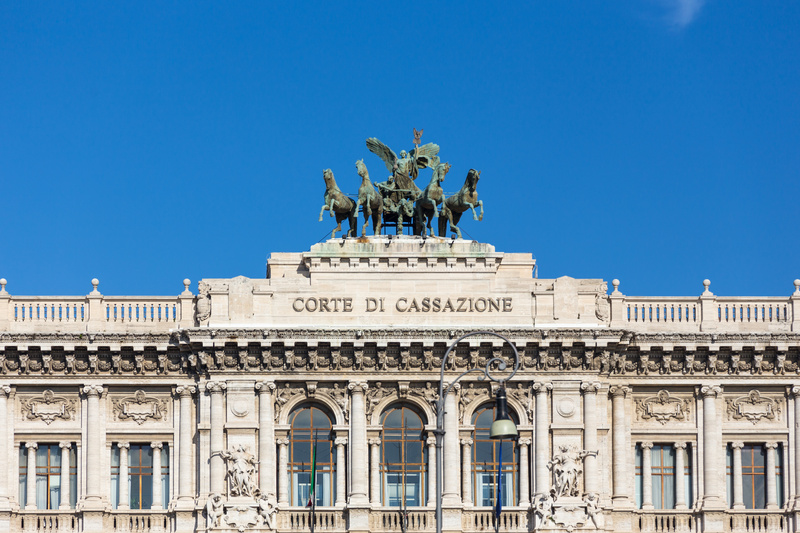 PROTAX consortium is therefore honoured to receive the endorsement of the Supreme Court of Cassation (Corte Suprema di Cassazione) the highest court of appeal or court of last resort in Italy, which will host the PROTAX focus group in Rome.